Free and open to the public; Light reception; Seminary Co-op will sell books on-site; Professor Carrillo will be available to sign books. Click here to link to the Livestream. Livestream begins at 5:30 pm (CST). 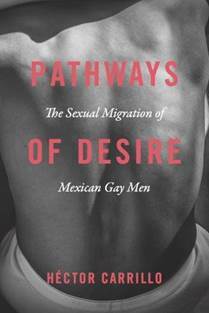 Professor Carrillo will speak about his new book, Pathways of Desire: The Sexual Migration of Mexican Gay Men. He argues that in order to fully understand the sexual health and HIV prevention challenges that sexual migrants confront, it is necessary to pay close attention to the effects of the shifts in social and cultural context that they experience as a result of their transnational relocation. 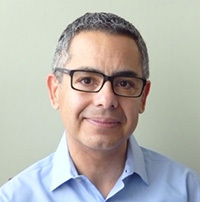 Héctor Carrillo is professor of Sociology and Gender & Sexuality Studies at Northwestern University, where he also co-directs the Sexualities Project at Northwestern (SPAN). Professor Carrillo is the author of the award-winning book The Night Is Young: Sexuality in Mexico in the Time of AIDS, and of Pathways of Desire: The Sexual Migration of Mexican Gay Men, both published by the University of Chicago Press. He currently conducts research on the paradoxes of the modern notion of sexual identity. Pathways of Desire: The Sexual Migration of Mexican Gay Men. In the book, the author argues that in order to fully understand the sexual health and HIV prevention challenges that sexual migrants confront, it is necessary to pay close attention to the effects of the shifts in social and cultural context that they experience as a result of their transnational relocation. He closely examine the dynamics of their sexual and romantic relations in the U.S., including how their sexual partners are sometimes supportive and other times become a source of oppression that generate vulnerabilities for gay immigrants. And discusses the ways in which urban LGBTQ communities seek (or not) to incorporate Latino immigrants, as well as the complications of participation in culturally-specific services vs. participation in mainstream LGBTQ communities. The book is primarily about sexual migration, the immigrants’ sexualities, and the shifts in sexualities that result from migration, but also argues that all those topics are essential for understanding the contextual and structural factors that may result in HIV risk (or alternatively in forms of collective empowerment and resiliency) in the process of immigrant incorporation.